Coastal ecosystems are undergoing complex changes caused by both social and ecological drivers occurring at varying scales and speeds, which ultimately act as either risks or opportunities to coastal social-ecological systems. The assessment of adaptive capacity- the latent ability of a system to respond proactively and positively to new stressors or opportunities- of coastal ecosystems is crucial in understanding the extent to which they will be able to accept and adapt to these social and biophysical drivers. A new paper co-written by Nereus Program Director of Science William Cheung in Ecology and Societyaddresses the discrepancies and ineffectiveness present in previous efforts to establish adaptive capacity recommendations by attempting to improve the consistency and quality of adaptive capacity assessments. The goal of adaptive capacity assessments is to provide results, insights, and recommendations that foster positive real-world action for coastal ecosystems. However, there are very different possible methodologies, and the benefits for on-the-ground change are unclear. Thus, there is a need for comparative reviews to contrast the measures, outcomes, and approaches of adaptive capacity assessment approaches. This study examined the benefits and drawbacks of eleven common approaches to tackling adaptive capacity in coastal social-ecological systems. A conceptual framework, which links adaptive capacity assessments to management and planning actions to foster adaptive capacity, is provided. 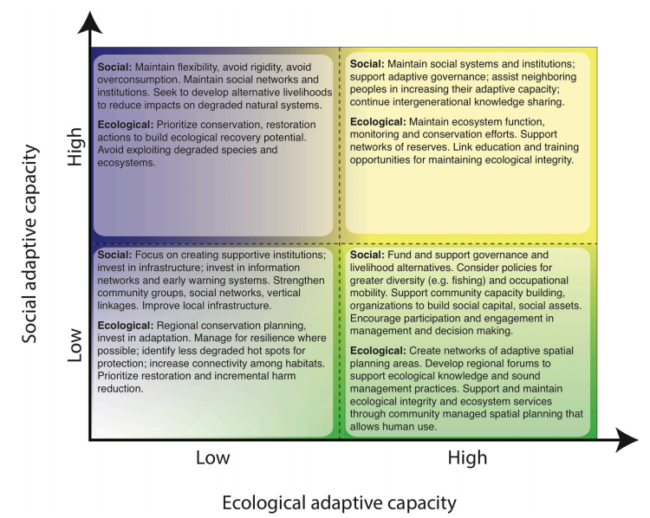 It was found that we need more development of integrated social-ecological assessments and greater efforts to evaluate and monitor adaptive capacity over time and space. Furthermore, few assessments have currently led to tangible outcomes or actions to successfully foster adaptive capacity in social-ecological systems. The results may guide researchers, planners, and policy makers in the management of social-ecological coastal systems. Because of the complexity and speed of environmental, climatic, and socio-political change in coastal marine social-ecological systems, there is significant academic and applied interest in assessing and fostering the adaptive capacity of coastal communities. Adaptive capacity refers to the latent ability of a system to respond proactively and positively to stressors or opportunities. A variety of qualitative, quantitative, and participatory approaches have been developed and applied to understand and assess adaptive capacity, each with different benefits, drawbacks, insights, and implications. Drawing on case studies of coastal communities from around the globe, we describe and compare 11 approaches that are often used to study adaptive capacity of social and ecological systems in the face of social, environmental, and climatic change. We synthesize lessons from a series of case studies to present important considerations to frame research and to choose an assessment approach, key challenges to analyze adaptive capacity in linked social-ecological systems, and good practices to link results to action to foster adaptive capacity. We suggest that more attention be given to integrated social-ecological assessments and that greater effort be placed on evaluation and monitoring of adaptive capacity over time and across scales. Overall, although sustainability science holds a promise of providing solutions to real world problems, we found that too few assessments seem to lead to tangible outcomes or actions to foster adaptive capacity in social-ecological systems. We must explore adaptive capacity assessments and employ the most effective and positive on-the-ground actions for coastal social-ecological systems, given that they are at significant risk from the cumulative effects of anthropogenic climate change. 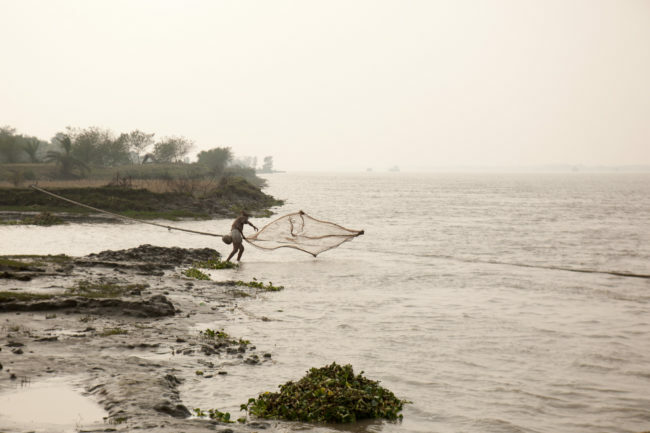 Image: “Small scale fisherman in Khulna.” by Mike Lusmore/Duckrabbit, CC BY-NC-ND 2.0.